Makers of Quality Sheds Since 1952. 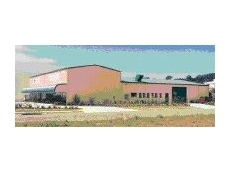 Grant Sheds supply and build garages, farm sheds, commercial and industrial sheds throughout SA, VIC and NSW. 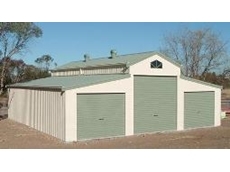 Sydney Sheds and Garages is a family owned business specialising in the distribution of custom made steel framed buildings. We supply premium quality Carports, Garages, Barns, Farm sheds & Industrial/Commercial Buildings. 30/09/08 - Grant Sheds offer machinery sheds mainly for primary production applications. The offerings are targeted at dry land farmers, who usually need to store wide farm equipment and therefore require storage areas with wide beam openings. 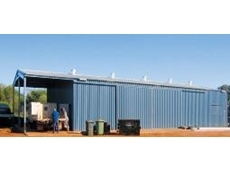 23/07/08 - ShedCo offers custom built commercial and industrial sheds and garages for customers based in Australia, according to their needs and requirements. 22/07/08 - ShedCo can design and custom build rural or farm sheds in any size, according to customer specifications and requirements. 21/07/08 - ShedCo fabricates quality garages with dividing walls, variable roof pitches and other features based on customer specifications. These garages are designed using shed computer programs. At ShedCo, all garages are made of Australian Bluescope Steel.